It's coming up to that time of year again. And what better way for people of a certain age to enjoy the festive season than to go along to the theatre and watch a children's book come to life on stage. 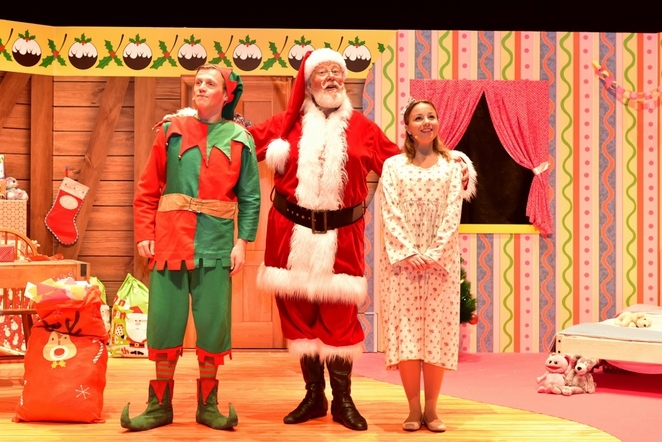 The publication in question is author Rod Campbell's best-selling children's book Dear Santa which will be transformed into life in the cosy studio theatre at the Lichfield Garrick throughout most of December. The story, which is considered a perfect introduction to theatre for children aged two years old to seven, revolves around Santa Claus's determination to deliver the most fantastic Christmas present to a girl called Sarah. But in true storybook tradition, he doesn't get it right straight away. So Santa enlists the help of his cheeky elf in coming up with something perfect just in time for Christmas Eve. 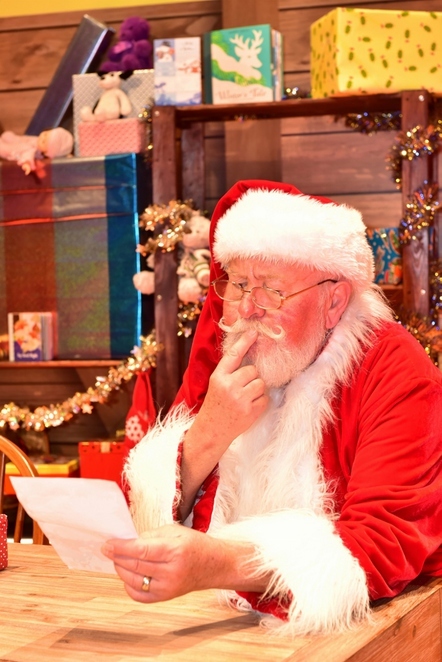 Can Santa deliver the perfect Christmas for Sarah? Dear Santa is said to have all the ingredients of Rod Campbell's imaginatively simple and charming style, plus a whole lot more, including music, laughter and plenty of audience participation. The festive show is likely to be a Christmas present that they, and their parents, will never forget. Plus the children also get the opportunity to meet Santa himself after the performance is over! 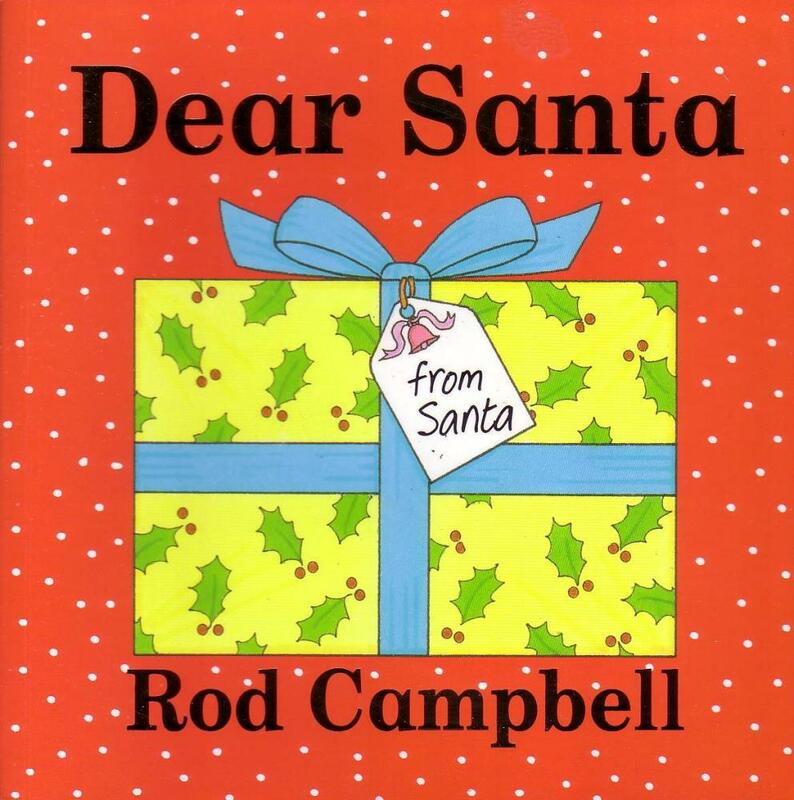 Rod Campbell, who was born in Scotland in 1945, is a writer and illustrator of several popular children's books including the classic lift-the-flap board book Dear Zoo, which has sold more than two 2 million copies worldwide. He first became involved in children's publishing by designing innovative books with interactive elements and repetitive phrases. And, in 1987, he founded Campbell Blackie Books in partnership with his publisher Blackie, later selling the company in 1995 to Macmillan Publishers. Rod Campbell's approach to books for babies and toddlers is described as instinctive, with the focus on simplicity. In fact, he sees himself as a 'maker' of books rather than as an author or illustrator. Rod uses flaps or pop-ups in a book only when he feels they give an extra dimension to a simple story or when they will serve to enhance the reality of certain images. And, however simple a story, it should always end either on an upbeat note or quietly resolved to everyone's satisfaction! 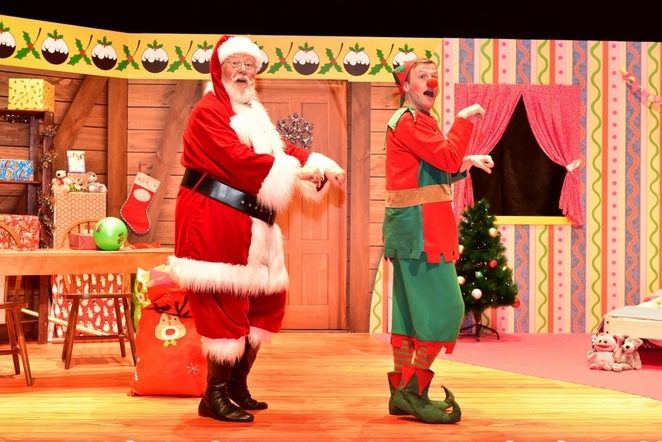 Dear Santa runs at the Lichfield Garrick from Tuesday 13 to Saturday 24 December, with a variety of daytime performances. Tickets cost £11.50 and £38 for a family, and can be booked online or by calling the Box Office on 01543 412121. Performances take place in the intimate studio theatre which has a capacity of 157 compared to the main theatre which can accommodate 562 in total.